« How Human is Too Human? Here are some thoughts about some things. First off, I’m one of those fans that goes into a Metal Gear game expecting anything. Literally anything. Once it fully hit me that I wouldn’t be playing as Solid Snake again in Metal Gear Solid 2, I knew two things. One was that I didn’t like Raiden. Two, was that I loved this series more than ever because they made me okay with something I hated. Playing as a character I didn’t like while playing beside the hero I’m supposed to be? Insanity! It was like playing as Robin when I was supposed to be Batman. Yet through Raiden’s perceived whininess and ridiculous story (Specifically without having the entire series in perspective yet), the game was/is awesome. Even without arms, you were the prettiest of the Metal Gear dudes, Raiden. Why was it so great? Because it was a really ballsy move that still had a certain appeal to it. A curveball nobody saw coming that really opened you up to the idea that anything can happen in this series. 4th wall breaking to the extreme, naked girly men running around covering their nuts; all things that if you’d described it to me I would have thought sounded stupid and maybe it is- but I was into it. If a series could make you care about things you would otherwise scoff at and pull punches or follow through when you least expected it, I was in. Because most works of fiction have a certain pattern to cling onto. But with Metal Gear, there’s very little to predict. Oh, other than the fact that whatever characters you’re watching probably have several plans in mind aside from the convoluted one they’re hatching onscreen. Sure there are tropes and cliches, but they’re Metal Gear tropes and Metal Gear cliches. So what did I expect from The Phantom Pain? To be pretty much the greatest game of all time. And in my mind, that’s what I got. Yes, even with it being unfinished and Mission 51 being included only as a short film. But for the sake of staying on the subject, yes, I’m cool with “the old switcheroo” at the end. Did I want to just have played as Big Boss for the game, getting what I thought I’d been sold for years now? Yes, of course. But we all know Metal Gear doesn’t work that way. But for some reason, people always hate it at the time that it happens. Need I remind you of the amazing music in the “reveal” scene? Listen as you read. After the original Metal Gear Solid, we needed more. But after the second game, we needed some meta-nano-S3-Patriots-stuff explained. Then in Snake Eater,which everyone agrees was amazing, still didn’t answer the questions that the previous stories asked. And even though the Guns of the Patriots resolved all of conflict in the series, it was only a matter of time before the greatest video games series of all time had its turn with the newest console, where we would see the universe expanded into an open world platform. But what did we get? The “twist” where we hadn’t been playing as the hero but some “nobody” brainwashed into thinking he was the hero, if you still want to call him that. It’s being called lazy by many and it’s not just due to the ending itself but the lack of buildup. While I can agree that the repeated missions were a bit confusing and unnecessary, I also don’t know everything that went on behind the scenes. I know that I enjoy what’s there and that at the same time, I’m never really going to be satisfied with it all anyway, so I can accept it all in that I accept nothing. Not making sense, huh? Nothing is going to be good enough, and understanding this, allows me to be that much more accepting to a story that seems to go largely unresolved. Yet at the same time, isn’t it already resolved? 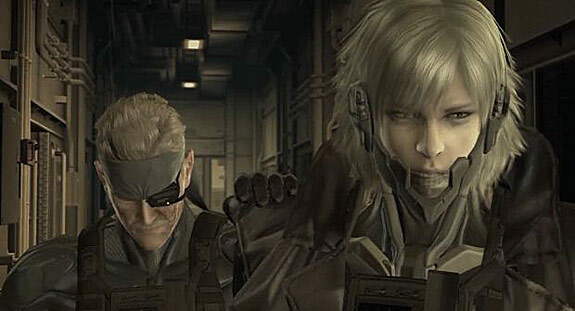 We know Big Boss isn’t a good guy, we’ve seen Solid Snake go through trial after trial, betrayals and gunfights, and we’ve even played a maybe canonical game as the insanely over-powered Raiden even though his story was already resolved in MGS4. While there will always be more to want in any series, any good series knows when to wrap it up. Sure, we could get a remake of one of the classic games. Or a game about Liquid’s rise to power. There are a million stories to tell, but this isn’t the 007 series that’s been set up to tell isolated missions, no strings attached. And it’s not a TV show going on season after season, beating their best qualities into the ground. It’s a video game series, which of course isn’t a stranger to over commercialization, but it does need to end if anything in the games is to ever really matter in it’s own big picture. Yeah, keep smiling all the way to the bank, you thieves! In comics characters can die several times and keep coming back to the point that death just doesn’t matter in the series anymore. It was just “the next big thing” at the time. But origin of MGS is told on console systems and needless to say, brings it’s own form of entertainment to you. Yeah, we’ve always liked the cinematic approach to MGS storytelling. Using music at the right time and getting the right angles in those cutscenes with great voice acting is key to why we all love it in the first place. But that doesn’t make it a movie, even if the cutscenes go on for over a freaking hour. It’s a medium that is reliant on the newest technology at the time to stay current. One reason Metal Gear is known to be so “weird” to outsiders is the focus on such bizarre plot points in a format where story usually involves something like “This guy has to save his daughter so you’ve got to commit a bunch of crimes for a mob boss. So you run around shooting everybody.” Metal Gear is on an entirely different level of storytelling. And while I’m not saying that because video games are a unique medium, we should get a weirdo ending nobody really likes, but just accepts. Because I don’t think that’s what this is, despite how some people see it. I think Kojima, the series’ creator of course, is taking something that couldn’t have been done as effectively in any other medium and has done it in a way that will have the most impact. We weren’t just watching characters tell each other they weren’t who they thought they were, but we are the character. Again, this isn’t something that could be explained to me and have it just sound cool. It sounds like it would take the player out of the story for an M. Night Shamlayan-esque twist that nobody asked for. But we already know everything anyway. We know how it ends for Big Boss and we’ve seen how it begins. We’ve seen what happens to his “sons” and really, we know how they began. 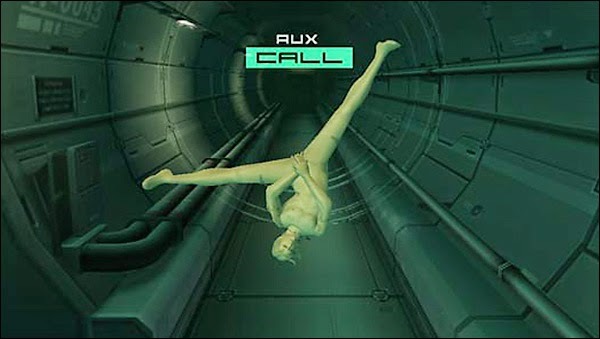 Anything else is just fanservice, which is what we all recognize MGS4 as. Sure, we could have gotten exactly what we wanted, but then it wouldn’t be what Kojima wanted to do in the first place. There are a million arguments to have about intellectual property, and how, once it’s out in the public, it’s the public’s as much as it is the creator’s. I get that and I can agree on some level, but when you’re writing your own story, you write your own. Not what you think what people will want. That’s how we get shows like Dexter turning out how they do. Characters are no longer written as their own selves, but keeping in mind whether or not fans want to see a character do or say this. When you write with everyone in mind, you get a pretty watered-down schlockfest. You’ve got to do what you think is right for your creation. And as mentioned, we’d already been through the ends and outs of a series that the guy who made it had been saying he would be done with over a decade ago now. Can you imagine what you would think of MGS if this was the last installment? As a fan, I want the cool stuff. All the thoughts and ideas I had about what it would be like to be Big Boss going crazy to the song of “Nuclear” by Mike Oldfield got me ready to play this thing. So to get to the end to find out that Eli just “got away” and that I’m not even Big Boss? Well, that’s just confusing. But with Eli’s story being “cleared up” behind the scenes with the cut Mission 51, we’re still left with the fact that the guy on the cover of the freaking game isn’t even a guy we’ve been familiar with. But every Metal Gear game is its own story as well as adding to the collective. And if a thirty-year old plot hole(?) can be covered up with this ending and it was bugging Kojima enough that he would solve it at the very end of his last Metal Gear game, I’m cool with it. I didn’t see it coming, it wouldn’t have even mattered if this had happened in another medium or at least not to the same effect, and I’ve gotten all the Metal Gear awesomeness I need from the past thirty years already. This was just another amazing game full of stuff I loved and stuff I can, at the very least, accept. It was a way to do something that doesn’t just make it another game that seems “just like a movie!” because actually being told by the creators that you are the guy in the game reminds you that this is a game and since you’re playing it, don’t pretend you’re not connected to it. You’re not just a viewer, you are the character. This wasn’t meant to be an argumentative essay. But there’s a lot floating around about the ending that’s already been said, which may include what I’ve written here. A major part of what I like about this ending is that while the series has looped back around to the original, like a snake eating its own tail, the theories about what the ending really means, who Venom really is (Maybe Big Boss? Gasp! ), and what’s to happen between now and the future of the series can keep the excitement going even longer. It also makes The Phantom Pain that much more applicable as a title for reasons you’ve probably already read. You ain’t gettin’ your time back and this series was never going to fulfill you, just entertain and make you think. Similar to the characters and their own need for fulfillment they won’t find where they’re looking. Really though, it feels like if the game isn’t entertaining you without making you question something, even if it’s the makers of the game itself, it’s not Metal Gear Solid. So do you love the end? Wish things were different? Or will this be like Raiden and years down the road, you might start to see a different side of things? This entry was posted on 09/23/2015 at 11:56 am and is filed under Whatever with tags Ending, Metal Gear Solid V: The Phantom Pain. You can follow any responses to this entry through the RSS 2.0 feed. You can leave a response, or trackback from your own site. Venom Snake was Big Boss’s best soldier and a Medical Doctor from Peace Walker. So it isn’t just a nobody. (This is actually referenced in a cassette tape in MGSV.) Also if you’d played the game from the very first one. Metal Gear. Not Metal Gear Solid. Then Venom Snake would be a good explanation to why Solid Snake killed Big Boss in Metal Gear, but Big Boss somehow survived in later games. Body Double. It’s a perfect explanation. I don’t recall everything I’ve written but for whatever character details he was given, it makes sense enough, but he was still a nobody as far as the player is considered. Ultimately because he’s you so he’s got certain skills in the MGS world but he’s a nobody to us. Thanks, I’m familiar with the original MG games. Beat them on MGS3: Subsistence. The point of inserting the “(? )” after plot hole is because that’s what Big Boss’ return was considered by many in MG2 though something being unexplained doesn’t actually make it a plot hole. Thanks for commenting. Yo, what do you think of Kaz’s MBTI? By the way, I’m okay with the ending. Already expected there’ll be a twist in the end, also the song at the beginning kinda give it away. I’m cool with the ending as well, though this news about a cut third chapter makes me extremely curious as to what they’ve got hidden. I’ve been wondering about Kaz’s type as well and I keep coming to ENFJ. Reasons why may make this comment too long. Then please do a post about it! I have read people typed him as ENTP but I don’t think that suit him actually. I agree with you about the third chapter….I want to know about how are Eli and his troop doing. Yeah I’ve seen ENTP as well but I don’t get that at all from him. A post has been planned for Kaz, just trying to make sure I get him right. The guy has been through a lot, he’s a complicated man…It’s even sadder knowing how he dies, heh. Does anyone stop for a moment and consider that, for as bitter as Liquid Snake was about his relationship with his “father figure” he sure didn’t “actually” know the guy…… *dramatic music* player_1: memETAL Gear…. npc/boss: You know about that?! memETAL Gear is a top secret black project! How did you know that!? player_1: we’ve had a couple of run ins in the past. I agree with the problems people have had with the game. It plays great but there is this yearning for a product that could of been much more complete, a story much more “Solid”. I too accept the game for what it is but the untapped potential of what could of been leaves a “Phantom Pain”. Naysayers can deny it all they want, singing gospels to its name for what it turned out to be and what have you, but a lot of us who were here from the very beginning definitively know what we expect to get from this series. We all do, but it is missing limbs. I really hope something more external had a hand in it and Hideo did not just lose his skill. I personally can not fathom that. Anyway that is just my two cents. My opinion. Overall it was still a very fun and enjoyable experience and by no means a reason to not purchase and play this game. It does a lot of fantastic things that are worth while to see and play and I thank Mr. Kojima and his team for all the great times they have provided us with. 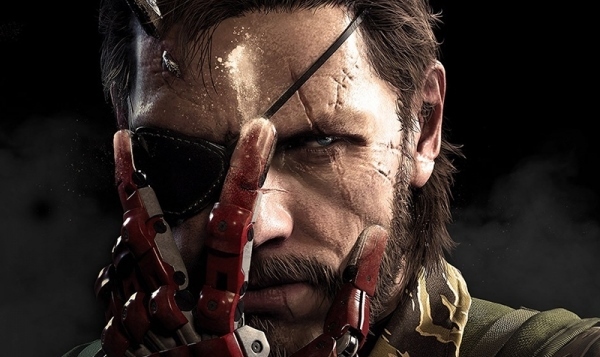 P.S I was one of those Diamond Dogs who wanted Venom Snake to be Gray Fox implanted by Zero. Some way some how. I know there might be issues regarding the story because of it. Just very VERY early wishful thinking, lol. A man can dream right? Sadly there was supposed to be a chapter three, but Konami cancelled it.